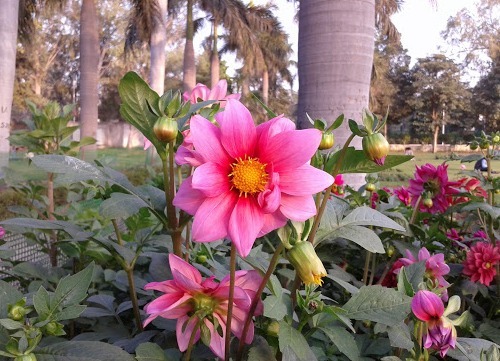 The University of Delhi invites the citizens of Delhi and around to the Flower Show and Antardhvani Cultural Festival. The University of Delhi is the most popular university in all of India, attracting students from across the country and world. It is that time of the year again in the university! Antardhvani 2014 is a three days Cultural Fest and Flower show will begin from 14 February 2014 and will continue till 16 February 2014. Promoting clean energy in the university through shift to cycles needs to be encouraged: bicycle ads in India. The DU Antardhvani Cultural Festival was conceptualized and started in 2011 and has become the showpiece event of India’s highest rated university. In just two years, it has emerged as the medium for profiling the university’s cultural, sports, and academic achievements. The 56th Annual University of Delhi Flower Show is now integrated with the Antardhvani Cultural Program. The Flower Show is held every year by the university in order to promote interest in nature among the students, staff, and teachers of the University, colleges, schools as well as among the residents of the area.